Problem Pictures is about bringing mathematics to life with photographs. Striking photographs are combined with original questions and problems to challenge students at all levels. 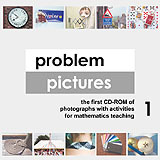 The original Problem Pictures CD-ROM has 184 colour photographs with activities for mathematics teaching. Each photograph comes with a question or activity. For each there is a page giving hints, solutions and further information. Initially all the photographs can be viewed as a video montage with a music soundtrack. Themes covered by the pictures include symmetry, ratio, number patterns, spirals, games, packaging, mazes and sundials. The original edition is for PC only but a web browser edition is now available for Macs, PCs or any computer with a web browser. Here are some screen images and more information. feature photographs from the discs printed in full colour. The 2009 edition of Problem Pictures Themes CD-ROM has more than 300 colour photographs. 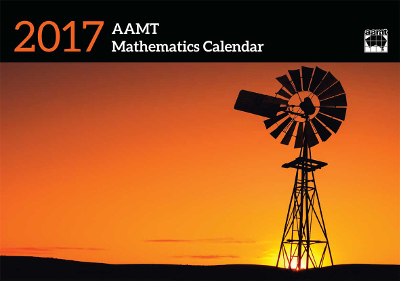 Themes covered include Chocolate, Games & Puzzles, Mazes, Perspective, Time, and Wheels, as well as a large Medley section covering many other topics. U-Shaped Curves, Straight Lines & Gradients and Waves & Other Curves are three sections that can be used to model photographs with graphs. 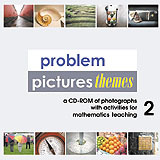 Like the original Problem Pictures CD-ROM, this disc contains a varied collection of attractive and unusual images which are starting points for mathematical activities. The materials are viewed in a web browser making it easy to copy and paste to other applications. Includes hints and solutions. PC & Mac. 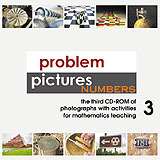 The Problem Pictures Numbers CD-ROM continues the tradition of bringing mathematics to life with photographs. The first part of the disk has more than two hundred eye-catching photographs, each with questions and activities to challenge students of all ages and abilities. There are pictures of pedal bins, liquorice allsorts, patchwork quilts and road signs. Weird architecture and historic instruments also appear in the mixture. The second part is on the theme of numbers. There is a page for each whole number from zero up to 220. Photographs show patterns based on particular numbers as well as diverse images of the numbers themselves. The accompanying text is adapted from the book Numbers: Facts, Figures and Fiction, juxtaposing mathematical ideas with facts and anecdotes about numbers in the real world. Links to this website should be to: www.problempictures.co.uk. The photographs and screen images on this website are copyright and may not be reproduced without permission. Copyright © Richard Phillips 2001/2015. Key words: numeracy, math, maths, photos, mathematical photography, photography for mathematics teaching, art. Page updated 8 November 2016.